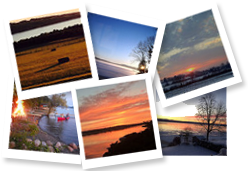 Skaneateles Lake Association | Clean Lake. Pure Water. Welcome to the Skaneateles Lake Association. The mission of the Skaneateles Lake Association, Inc. is to promote protection of the water quality of Skaneateles Lake and environmentally sound regional management of its watershed. The survey asks respondents a variety of questions including those gauging familiarity with the lake, opinions on water quality protection efforts, what the most pressing issues are, how to best address those issues and more.We are hoping for 400 responses to the survey to ensure the answers are statistically significant. At the end of the completed survey, you can enter a raffle to win (1) of (3) $100 Amazon gift cards for your participation (must be 18 or older to enter). Thank you in advance for your time! If you have any questions about this survey, please contact RMS at 315-635-9802 and mention the Skaneateles Lake Association survey. The Skaneateles Lake Association has registered with Amazon to be a recipient under their Amazon Smile Program. This program enables you to choose the Skaneateles Lake Association as the recipient of a donation from Amazon each time you shop on Amazon. com. 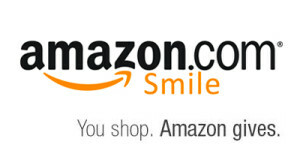 Search for "Skaneateles Lake Association, Inc."
SLA is registered as a charitable organization with Amazon and Amazon will donate an amount equivalent to 0.5% of your purchases directly to the Skaneateles Lake Association. While the percentage is small it can be a significant contribution if a large number of our members participate. There is no cost to the shopper. The donation comes directly from Amazon. Please check it out at Smile.amazon.com. Have you lost or found something on the lake? Click Here to view our lost and found page.